The car changes whenever you launch Winamp or change skins. You may change the car yourself by clicking on the car and selecting a model from the scroll-down list. Use the down and up arrows to scroll, highlight a model and click OK. 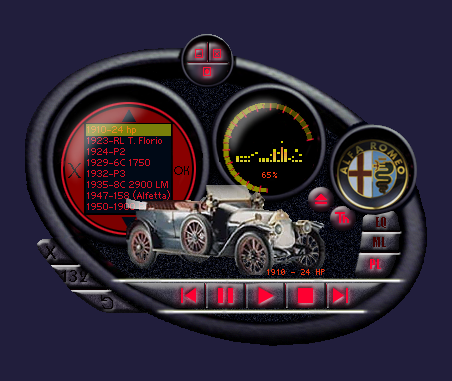 Updated for Winamp 5 by Ariszló. Permission to publish the updated skin was received from Antonio Dávila on June 30, 2016.